There can never, ever, never, be enough books on nature and the seasons and the remarkable joy that is our environment. There can also never be enough books with such divine illustration. Ever. Never. This beautiful book, on take-a-deep-breath uncoated paper, is just heavenly to look through. 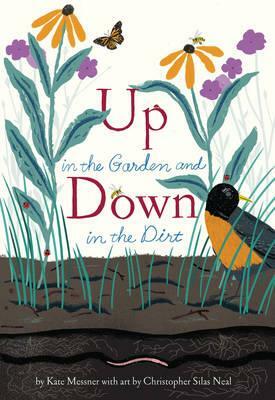 The story follows a young girl and her Nana as they potter in the garden through the seasons, discovering the microcosm that exists beneath the soil, creating the lusciousness that pops up above-ground for all to see. This is not only a journey for the characters, it's a journey for the flora and fauna and for the reader, right through the year as we learn, via a gentle narrative, how the smallest of elements come together to create Mother Nature's splendour.One for nature lovers, illustration lovers and book lovers (ie: all kids).